First and foremost, I don’t work with Tarot cards, I don’t read tea leaves, and I don’t have a crystal ball. I’m not clairvoyant. I’m also not speaking with any factual knowledge. I’m simply stating my opinion. It’s a little crazy that I have to state the obvious like this, but I don’t mind doing so, given the circumstances. There’s a few things that in my humble opinion that need to stop. For starters, Phil needs to stop giving so many interviews. Second, he needs to stop playing the victim. Third, finally, and perhaps the most difficult of all – he needs a social media vacation. The laws of supply and demand go hand in hand with the concept of relevancy in the fitness industry. 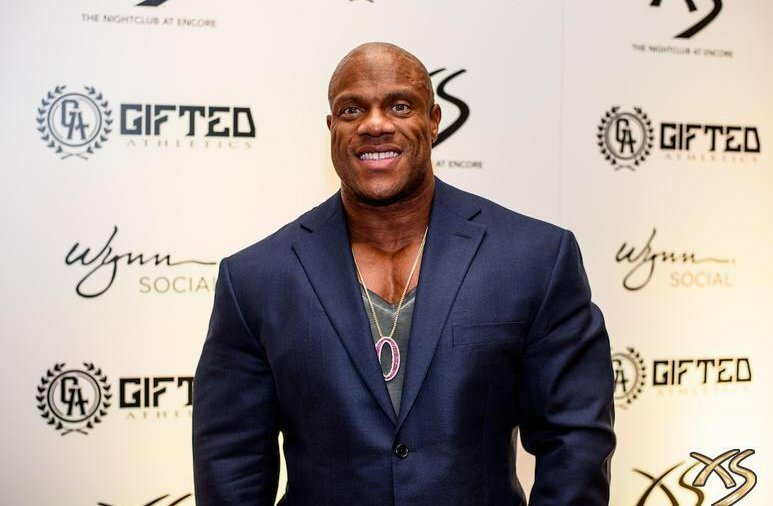 For many years, Phil Heath was considered out of most media outlet’s leagues. All the top guys were always signed either to FLEX or MD; they were exclusive to the magazine giants. If anyone wanted an interview with them, they’d have to put their request in writing, and usually said request would be denied. If you were sending an athlete a check every month, whether or not he worked for you that month, would you want that athlete to give rival publications or websites a free interview? Absolutely not, because that would water down your content and also hurt your traffic. A big part of why people would buy the magazines is because they wanted to see the photos and read the stories of their favorite stars. If they could read those anywhere for free, then why pay? That same concept applies today, only know it’s more about relevance than money. The more interviews Phil does, the less of a superstar he becomes. Talking to everyone may sound nice, but when something unattainable can now be had anywhere, the mystique takes a hit and so does demand. God forbid, but a point may come when Phil has over-saturated the fitness media and they may start putting his interviews and features out. At some point, people will want to stop listening to the same violin playing, and opt instead to tune into Brandon Curry training, Flexatron speaking from a big event, or Dexter Jackson committed to winning his 2nd Sandow. The fear in what Heath is doing, is that he’s lowering his star profile, simply because he feels that he’s hot right now. He is hot right now, but not because he’s the champ; it’s because he’s whining about being 2nd place after after dominating the sport for seven consecutive years. I mean, let’s not forget, Phil tied Arnold’s record! Hone in on that last sentence. Phil has won 7 Mr. Olympia titles and the more he complains the less support he draws. It’s hard to feel sorry for, arguably, one of the greatest bodybuilder of our time. He had an amazing run, but like most champs who get defeated, he didn’t plan to lose and he certainly wasn’t ready to lose. You take Flex Lewis, for example, he made his retirement clear. He announced this would be his last year at the 212 Olympia Showdown; he brought his best and he was able to decide when and how he left the stage. I totally understand where Phil is coming from, so do a lot of people, but he’s overdoing it on the interviews. The next thing that should stop, which I’ve already alluded to, is playing the victim card. People associate Phil, for better or for worse, as having a larger than life amount of self confidence, boldness, and commitment to excellence. He was never the humble type, he has never been timid, and if anyone even suggested they’d beat him, he’d make it a personal point to school them as to the difference between fantasy and reality. If Phil is committed to reclaiming his title, his goal should be his health, training, and keeping a low profile. Have people start to miss you, ask about you, and raise the suspense. Whenever Dorian would win an Olympia, for example, he’d go back to his dungeon gym in the UK. Few in the States knew much, at all, about his prep or what was going on with him. The suspense grew – and so did the demand. If Phil continues to play the victim card – and let’s say he’s successful at it – people may start to feel sorry for him, sad for him, and he may even win over some new fans, but being liked for being the victim is a distant second, to being liked for being the best. Also, most people have already seen too much of Phil’s arrogance, his censorship of dissent, and his feuds with everyone from Luimarco to Kai Greene to all of sudden start feeling feeling bad for the 7x champ. Truthfully, the best thing Phil could do, is take a social media vacation. That’s a pretty big request to make, especially since Phil was for all intents and purposes, the first social media Mr. Olympia. That having been said, he’s no longer the champ, and he’s already stated he won’t be competing in 2019, so truthfully, there’s no need for him to be the center of attention, now. He can take this time to collect his thoughts, enjoy his life, and regroup. If social media wasn’t kind to him all the years of his reign, it’s unlikely that it will, all of a sudden, experience a collective change of heart. In conclusion, if Phil can stop doing all the interviews, stop playing the victim card, and seriously consider reducing his time on social media, then I think we can see Phil successfully re-invent himself. If competing again is his goal, then he can still have a few more victories. That having been said, he should listen to Kai, and realize how much he can do for himself and that there are other ways he can be a superstar in life. In the end, whatever he chooses, he’ll be successful, but his given course of action has certainly raised some concerns. Next Next post: Should You Give Up Bodybuilding for Love?